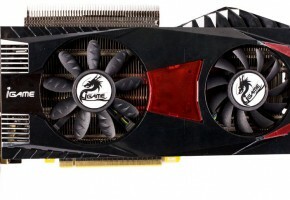 SPARKLE Computer Co., Ltd., the professional VGA card manufacturer and supplier, today announced the SPARKLE GeForce GTX 460 Sabrina Edition, using the “Sabrina” who is the chief actress in the cognominal movie in the shaping of life and love with full of dreams as the prototype, providing the best Christmas gift for users. Christmas is coming, a lot of people will buy their holiday gifts for relatives and friends with their blessing. For many people, will stay at home and watch a cozy movie with his family in Christmas eve to enjoy a memorable holiday. Of course, a high-definition graphics card is naturally essential for watching movies at home. 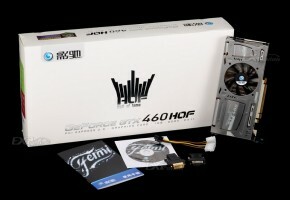 Available on this Christmas season, the SPARKLE GeForce GTX 460 Sabrina Edition are essential for the ultimate Blu-ray movie experience on a Desktop PC or notebook computer. The SPARKLE GeForce GTX 460 Sabrina Edition is designed from the ground up to deliver potent gaming performance at a new price point for mainstream users to enjoy the latest cutting-edge titles at full HD, 1080p resolutions and latest DirectX 11 games.The SPARKLE GeForce GTX460 Sabrina Edition expanding your real estate across 3 panels for the ultimate “inside the game” feeling. the SPARKLE GeForce GTX 460 Sabrina Edition provides the incredible graphics horsepower to run your game in 3D stereo, across 3 panels, at HD resolutions up to 5760×1080. The SPARKLE GeForce GTX 460 Sabrina Edition aslo supports gaming across three non-3D displays with resolutions up to 2560×1600,it’s the best in Class 2D Surround Gaming. 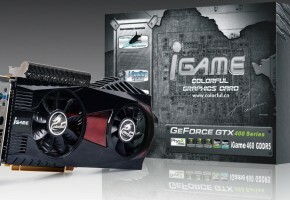 The SPARKLE GeForce GTX 460 Sabrina Edition has two Dual-link DVI-I connectors and one mini-HDMI 1.4a connector, fully meeting user entertainment needs. The two Dual-link DVI-I connectors can drive the industry’s largest and highest resolution flat-panel displays, up to 2560×1600 and supports High-bandwidth Digital Content Protection (HDCP). 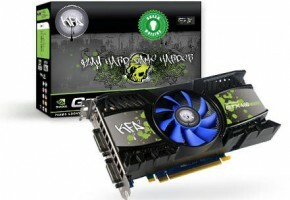 The SPARKLE GeForce GTX 460 Sabrina Edition supplies a 1.5m mini HDMI to HDMI cable with the graphics card. The Mini-HDMI 1.4a connector supports HDMI1.4a output, including support for GPU-accelerated 3D Blu-ray, xv Color, HDMI depth, and the 7.1 surround digital sound etc. It uses one single cable to transfer both video and audio signals, without having to worry about multiple cable configuration. Today‘s DX11 game, such as Stalker: Call Of Pripyat, Metro 2033, they insanely use as large as possible number of bump texture, transparent texture to describe faces of characters and render realistic gaming scenes, so these DX11 games put rigorous demands on the bandwidth and capacities of video memory. The current situation demands at least 1GB video memory to run these games. the SPARKLE GeForce GTX 460 Sabrina Edition comes with incredible large 1024MB high speed GDDR5 video memory to meet the demand on mainstream market. 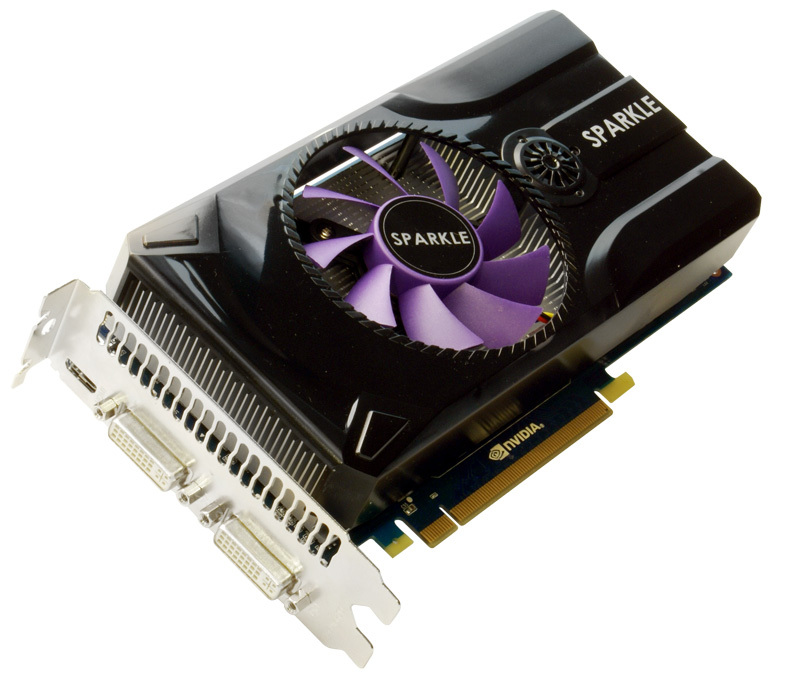 The SPARKLE GeForce GTX 460 Sabrina Edition from SPARKLE deliver all the benefits of the advanced 40nm process from TSMC with better Price Performance , a high speed GDDR5 memory interface, and full DirectX 11 support, possessing considerable power improvements compared to its predecessor. 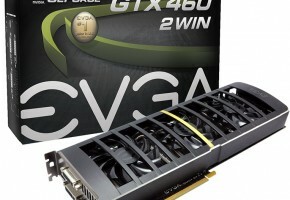 SPARKLE specially design the Fuse Function for The SPARKLE GeForce GTX 460 Sabrina Edition Graphics Cards. The Fuse Unit on the Graphics Cards’ PCB can avoid the hardware damage caused by the unstable voltage of the monitor.